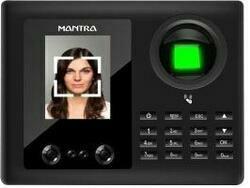 WE ARE THE SUPPLIE R AND AUTHORISED SERVICE PROVIDER FOR MANTRA BIOMETRIC FACE AND FINGERPRINT READER SYSTEM. WE SUPPLY INSTALL ALL BIIOMETRIC MACHINES OF MANTRA. MANTRA MSD 1K FACE AND FINGER MACHINE IS ONE OF THE BEST MODEL WITH MOST CONVINENT ATTENDANCE RECORDING PROCEDURE AND VERY USER FRIENDLY INTERFACE. MANTRA FACE ATTENDANCE MACHINE IS SUITABLE FOR SMALL OFFICES WORKSHOPS LARGE FACTORIES AND ALL HEAVY INDUSTRIES. CALL US FOR MORE INFORMATION ON MANTRA BIOMETRIC PRODUCTS.